Rosetta P. Oliver has educated audiences nationwide in the areas of addiction, incarceration, and recovery. She has counseled addicts, inmates, and families for more than a decade, specializing in the areas of transitional issues. She began her career as a therapist in Berlin, West Germany, counseling soldiers in the United States Army, and veterans with various diagnoses and issues, including dual diagnosis and post traumatic stress disorder (PTSD). She has also worked with incarcerated veterans and the homeless. While working for the Federal Bureau of Prisons, she was named "Correctional Worker of the Year." 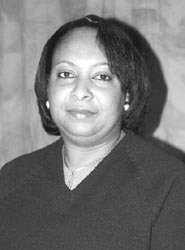 Now retired from the Federal Bureau of Prisons, she is founder and CEO of the Frederick Motley Institute of Choices (FMIC), a consulting firm focused on developing programs and training materials that help families identify and understand the dynamics of addiction, focusing on how children are impacted by parents who are incarcerated. She has developed and implemented programs for various prisons and residential aftercare drug programs, and routinely conducts personalized workshops across the country.